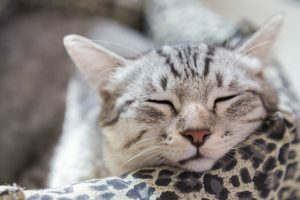 No matter how much your cat may resist being put in the carrier for a trip to Mariposa Veterinary Wellness Center, chronic vomiting may be a symptom of a serious medical condition for which medical treatment is available. Watch for any of these other symptoms so you can provide our Doctors with as much information as possible to help in the diagnosis and treatment. If your cat is experiencing chronic vomiting, do not wait. Contact Mariposa Veterinary Wellness Center for an appointment as soon as possible.